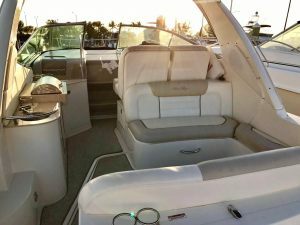 Sleek is the word for this racy 33-foot SeaRay Sundancer charter yacht harbored and waiting for you in Key Biscayne. 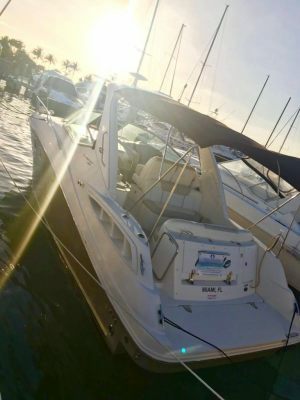 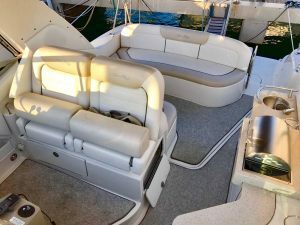 Created to host up to 10 guests, her classy profile houses premiere on-deck features including a cockpit wet bar with Corian counter and refrigerator, a port-side circular lounger, extra-wide bench-style helm seating with two flip up thigh rise bolsters, and a roomy transom storage compartment. 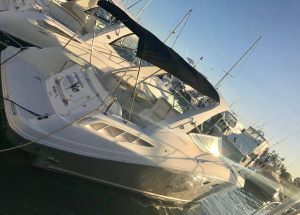 Grab your goggles and swim or snorkel off the convenient extended swim platform. 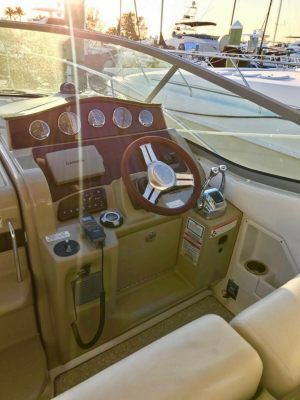 Inside, turn up the fun and the volume on your rental cruise. 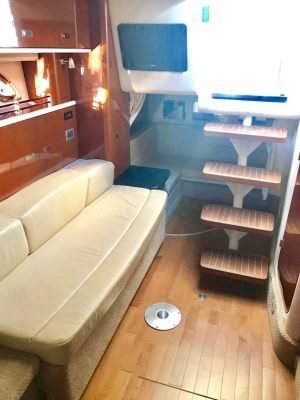 The spacious cabin is beautifully appointed with glossy wood galley and storage cabinets, circular skylights and mirrors and incredibly roomy seating for dining and conversation. 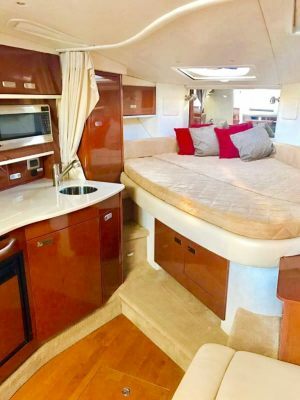 You’ll enjoy a galley perfect for entertaining complete with a sizable counter top, refrigerator, stove, microwave, and coffee maker. 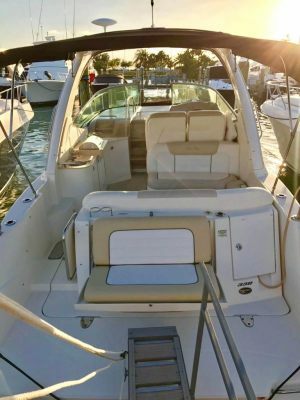 This exciting Sundancer will take you through the waters of Miami or the Florida Keys in spacious, luxurious style.